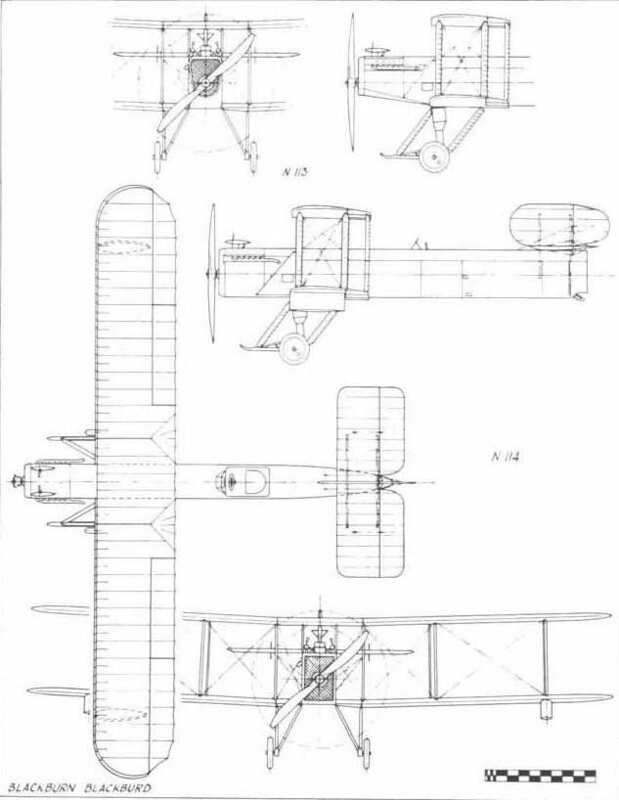 The first Blackburn-built A.D. 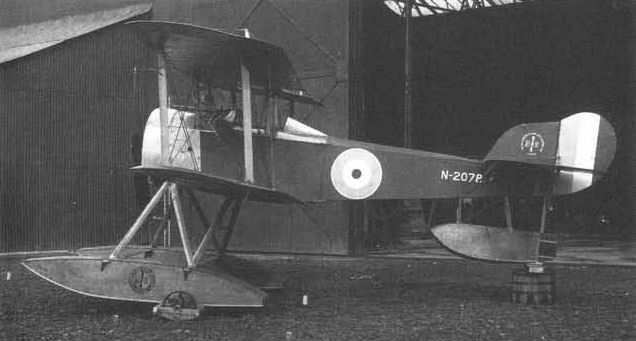 Scout, 1536, at RNAS Chingford in 1915 with H. C. Watt in the cockpit. 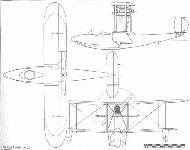 The prototype Blackburn Kangaroo, B9970, with the unsprung undercarriage. 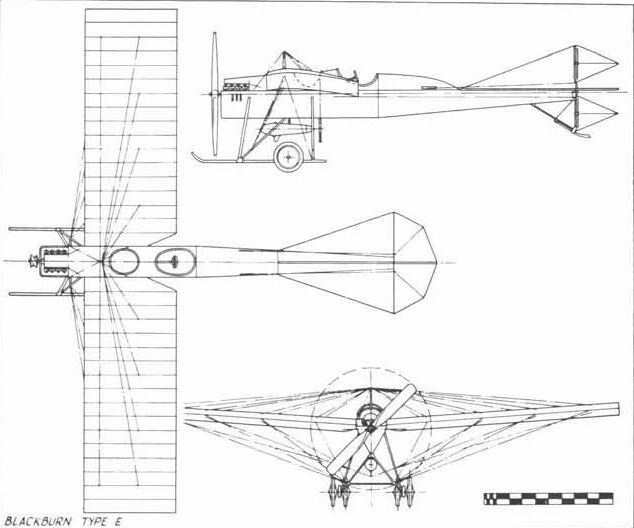 Delivered to the RAF in May 1918. Kangaroo B9974 displays alt the modifications found necessary to overcome the Services criticisms expressed during trials, including the modified nose gunner's cockpit and the oleo-sprung undercarriage. Один из "Кенгуру" 246-го дивизиона на аэродроме Сэтон-Кэри, май 1918г. B9976 of No. 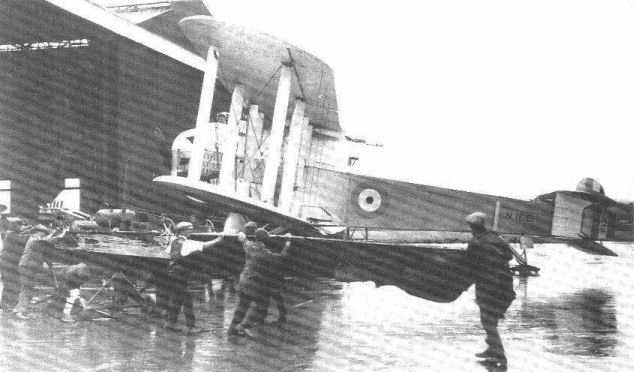 246 Squadron bombed up and ready to leave Seaton Carew on anti-submarine patrol in 1918. 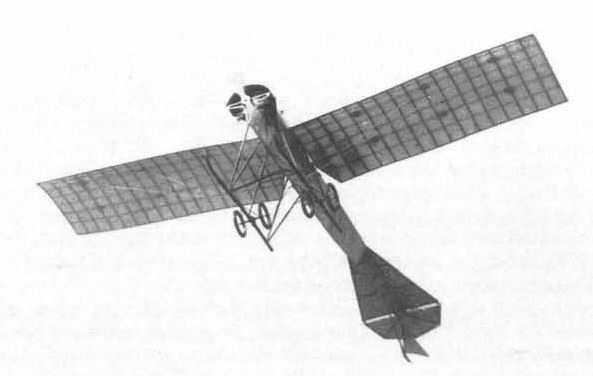 Kangaroo G-EAIU carrying the Rockwell Italic styling in 1922. 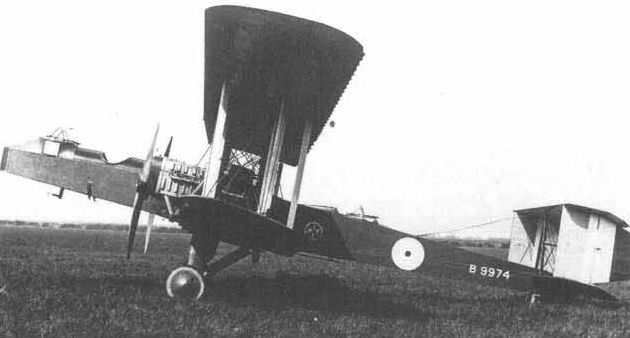 Kangaroo G-EAIU with wings folded at Croydon on the eve of the first King's Cup Air Race on 8 September 1922. 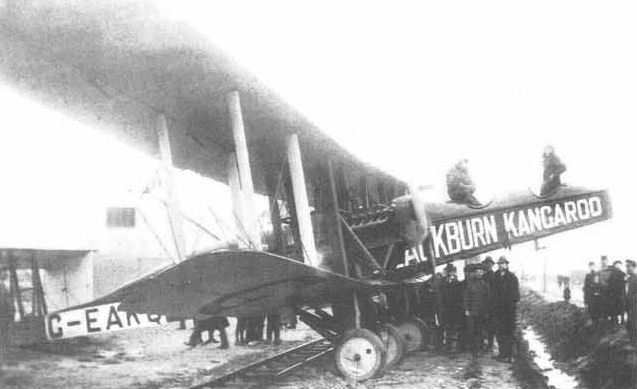 R. W. Kenworthy and T. Bancroft in Kangaroo G-EAKQ at Amsterdam on 6 March 1920 at the conclusion of the first commercial flight from England. Only the braking effect of the railway track prevented it terminating in the ditch. 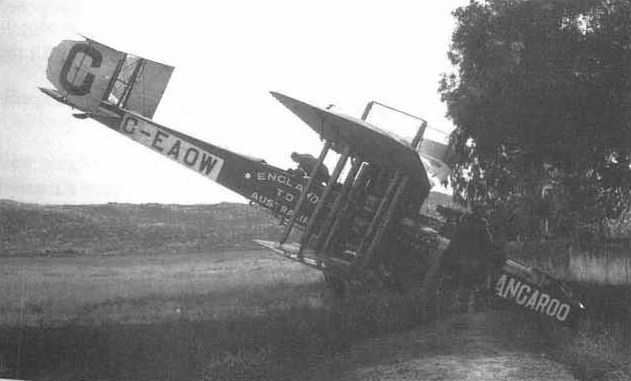 The England-Australia Kangaroo, G-EAOW, after the forced landing at Suda Bay, Crete, on 8 December 1919. 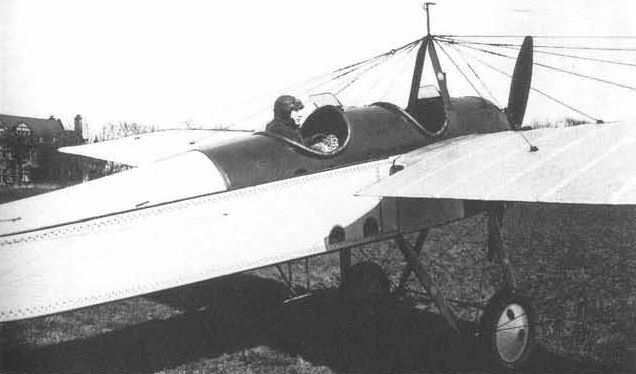 The dual-control Kangaroo trainer G-EBOM at Brough in 1926. Reserve School and other aircraft in the North Sea hangar, Brough, during the Velos demonstrations of 28 October 1925. Left to right: Avro 548A G-EBIT, Kangaroo dual trainer G-EAIU, Avro 548A G-EBIV, Bluebird I prototype G-EBKD and the US Army Air Attache's DH-4B. 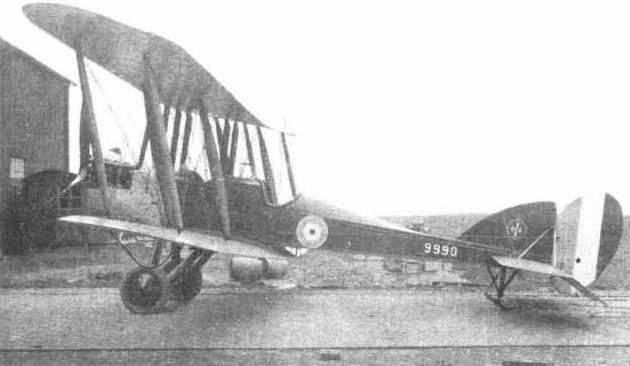 9990, a Blackburn-built B.E.2c with the famous airscrew-type badge on the tail. 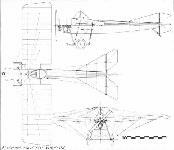 N113 with wheels fitted and showing the constant-depth fuselage, unbraced tail unit and small rudder. 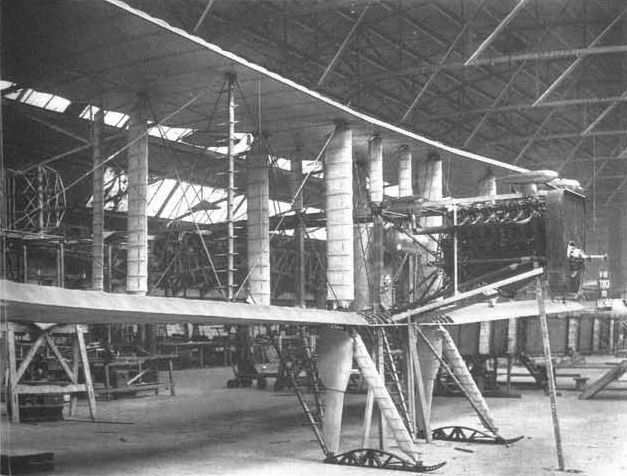 Blackburd N113 under construction in the Olympia Works, May 1918, showing the steel landing skids and built-up fairings. 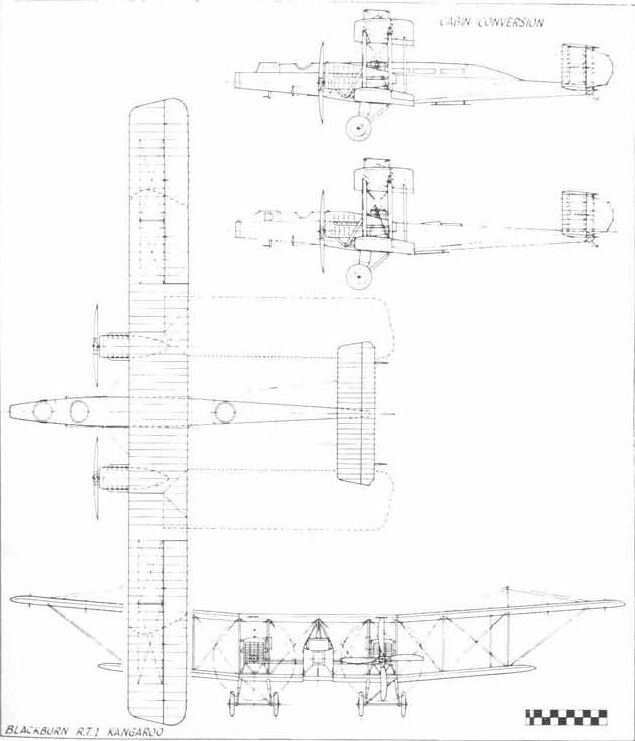 The second Blackburd, N114, with torpedo in position, wing tip floats, braced tail unit and modified rudder. 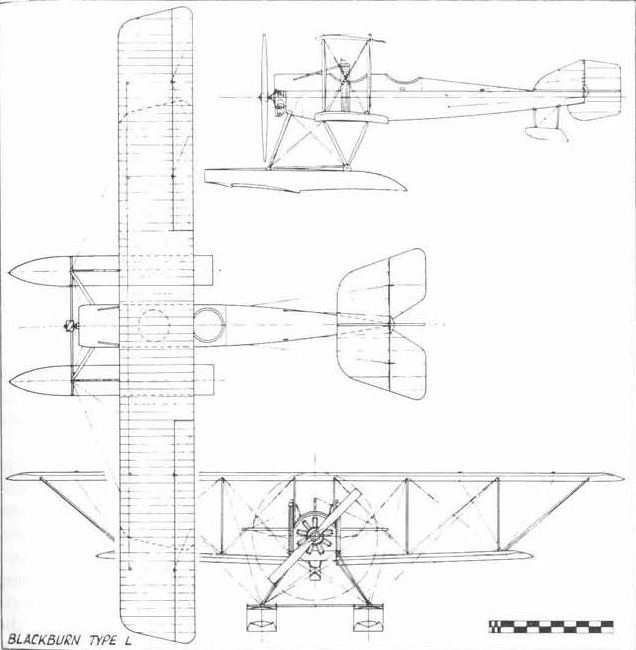 Front view of the second Blackburd, N114, to show the large rectangular radiator, short-span ailerons, separate from the flaps, are distinguishable on the starboard side. 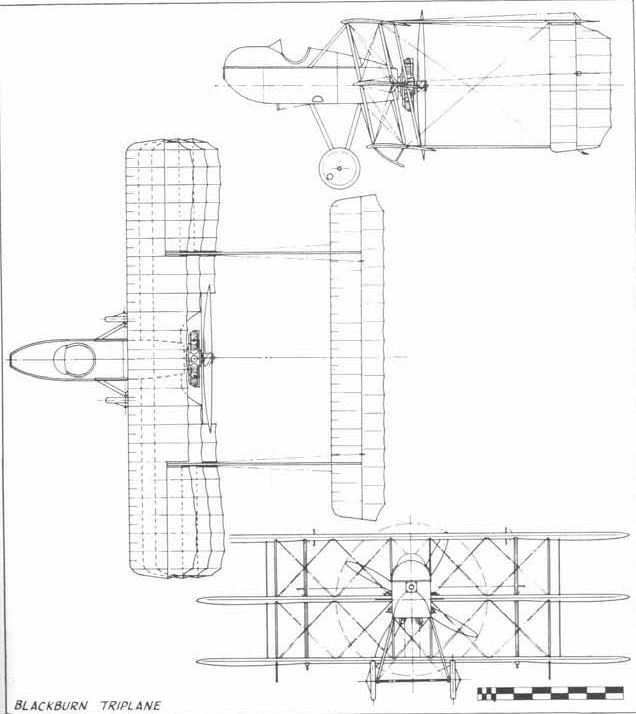 The undercarriage of Blackburd N115 showing the steel landing skids, wheel-jettison control cable running parallel to the rear strut, and the experimental hydrovanes. The cockpit of Blackburd N113. The second G.P. 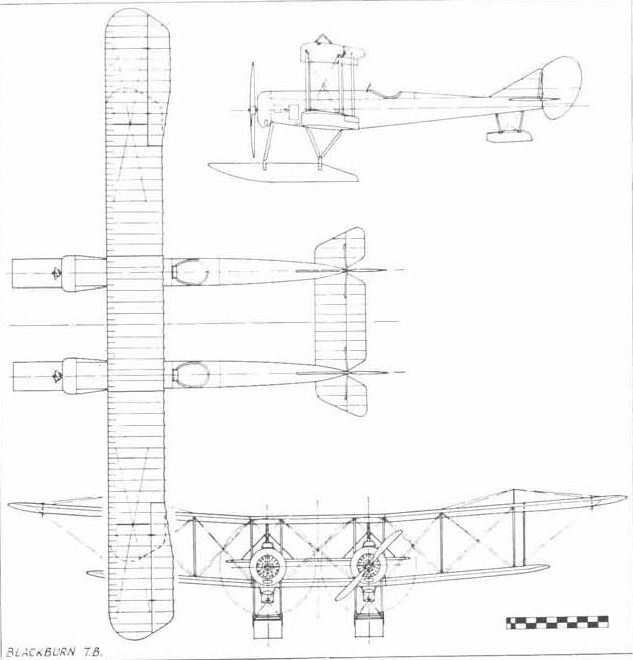 seaplane, 1416, at Brough in 1916 showing the raised nacelles and ailerons on all four wings. The second G.P. 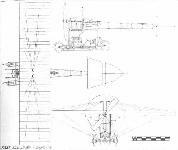 seaplane ready for launching and showing the scalloped trailing edges to all flying surfaces. Launching G.P. seaplane 1416 at the Isle of Grain in 1916. One of the Gnome-powered T.B. prototypes at the RNAS experimental establishment on the Isle of Grain in 1916. The last production T.B. 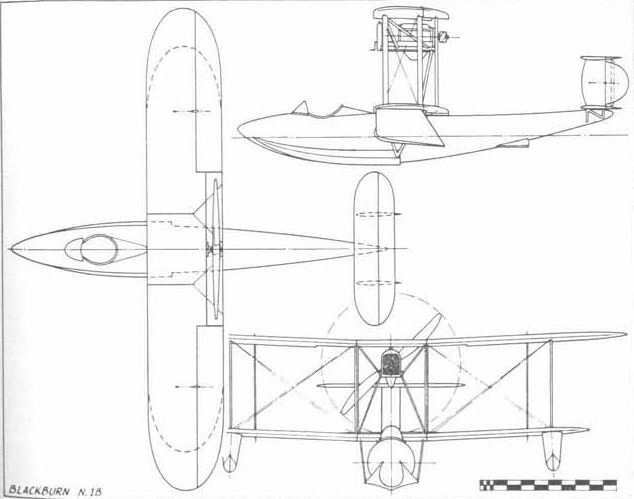 seaplane, 1517, with Clerget engines. 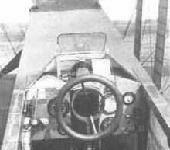 Rear view of the Clerget-engined T.B. seaplane. 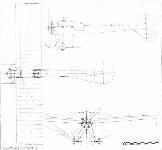 Baby seaplane N2078 from the final Blackburn batch with 130 hp Clerget engine. A Blackburn-built Baby seaplane in Norwegian Naval Air Service colours, on a frozen fiord, 1918. 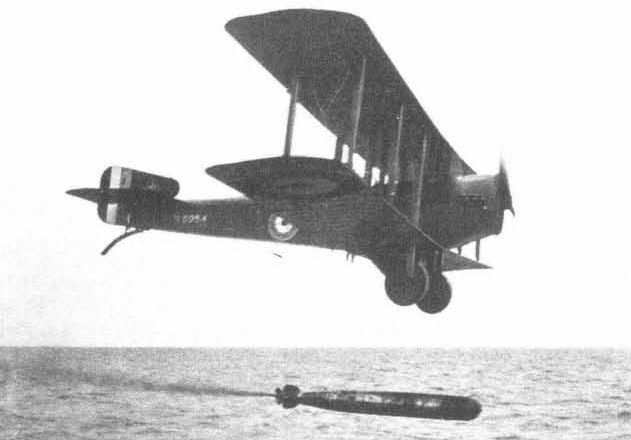 The fifth production Blackburn-built Cuckoo N6954 dropping a torpedo off East Fortune 1919. 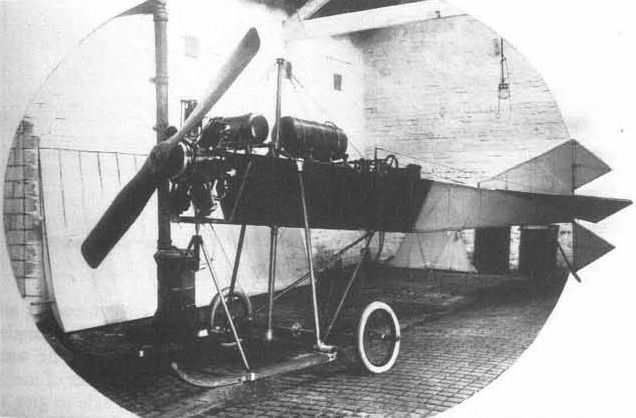 Robert Blackburn's First Monoplane in the workshop at Marske-by-the-Sea where it was housed between attempts to fly from the nearby sands, 1909-10. 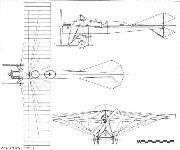 Front view of the First Blackburn Monoplane on the sands at Marske in 1909. 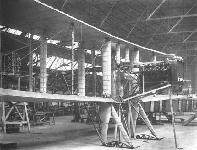 The fuselage of the Second Monoplane under construction in the Benson Street works, with the partly dismantled First Monoplane behind. 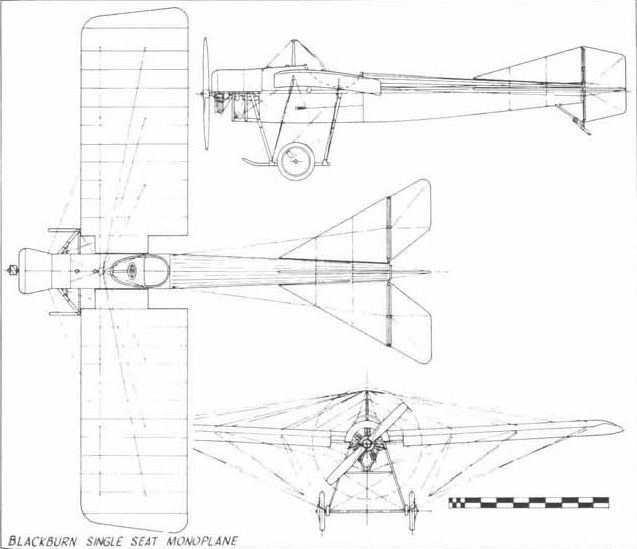 The completed Second Monoplane with fuel and oil tanks in position, narrow-bladed airscrew, and the first undercarriage modification. 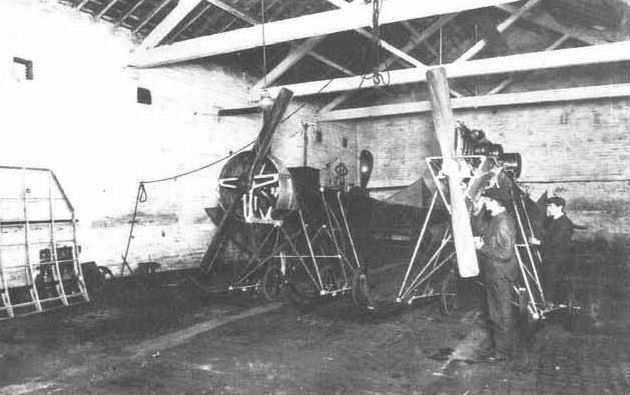 Robert Blackburn (standing right) and B. C. Hucks with ihe Mercury I in the cliff-top hangar, Filey 1911. 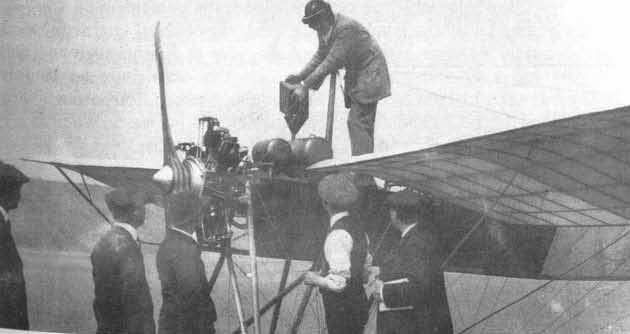 B.C.Hucks fuelling the Mercury I before the Filey-Scarborough flight of 17 May 1911. The high-mounted tanks which identify this machine are clearly illustrated. 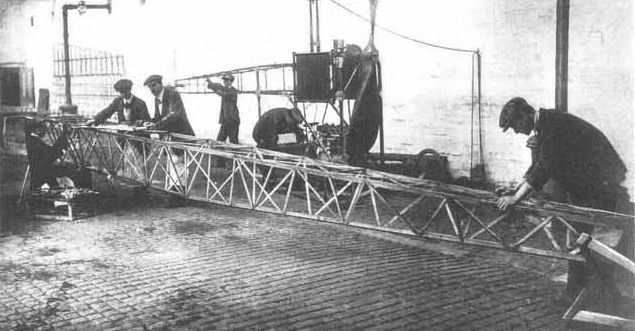 One of the Blackburn Mercury monoplanes being manhandled down the slipway to Filey beach in 1911. F. Conway Jenkins in the first single-seat Mercury II at Filey in July 1911. Hucks at Taunton with the Mercury II two-seater on 7 August 1911. 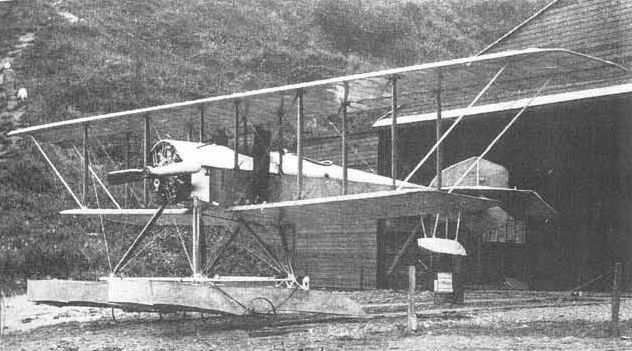 Lawrence's all-steel monoplane (right) under construction in the Balm Road works in April 1912, next to his damaged Mercury II which was awaiting conversion to Type B. 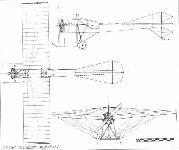 The Blackburn Type B monoplane at Hendon in 1913. 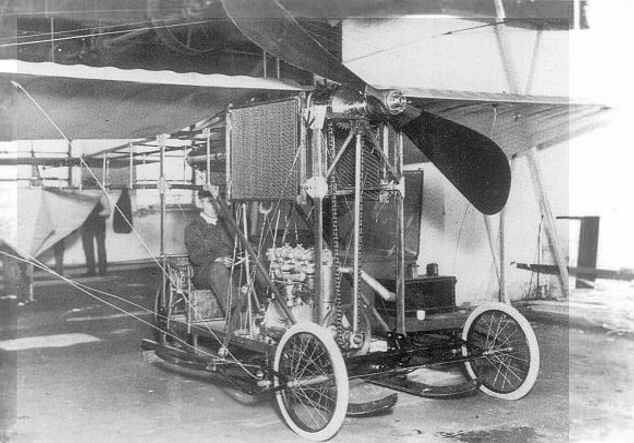 Laurence Spink at the controls of the Type B, Hendon 1913. 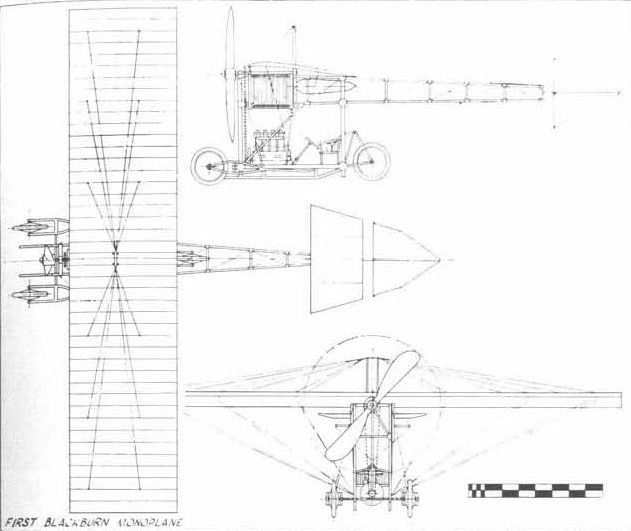 Details of the Blackburn patent triple steering column are clearly visible. 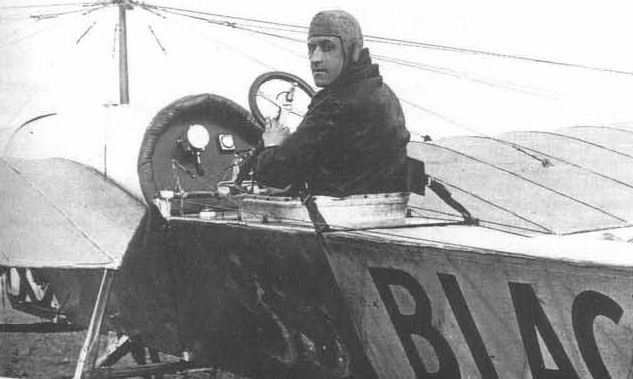 Robert Blackburn beside the Type B, racing number 33, before the start of the Aero Show Trophy Race at Hendon on 22 February 1913. Hubert Oxley and passenger in the ill-fated Mercury Passenger Type outside the Filey hangar after the tapered mainplane was fitted. Jack Brereton climbing into the second Mercury III (50 hp Isaacson) at Filey in May 1912. 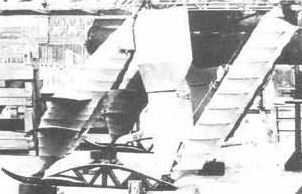 The raised top rudder distinguished it from the Isaacson-powered Mercury I. The fuselage of Lt Spenser Grey's two-seat Mercury III (50 hp Gnome) outside the Balm Road works ready for despatch to Brooklands, December 1911. These views show clearly the third and final stage in Mercury fuselage evolution. 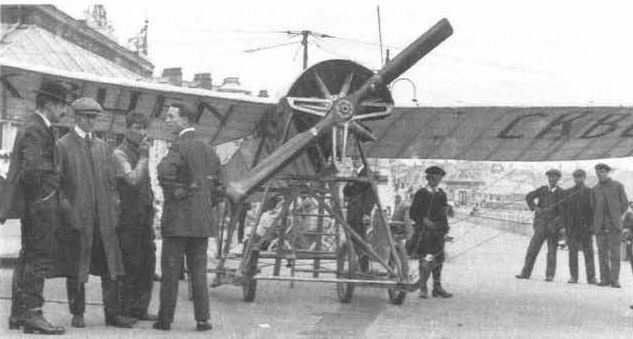 Mark Swann (no hat) and Jack Brereton (right) with the last of the Mercury monoplanes on the promenade at Bridlington on 15 July 1912. The machine is identified by the undercarriage modification. 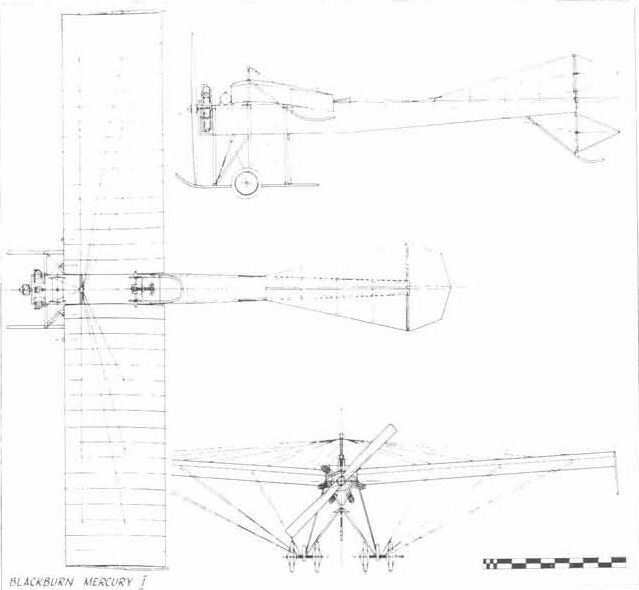 Jack Brereton flying the fourth Mercury III (50 hp Gnome, cut-away wing roots and six-strut undercarriage) at Filey in May 1912. 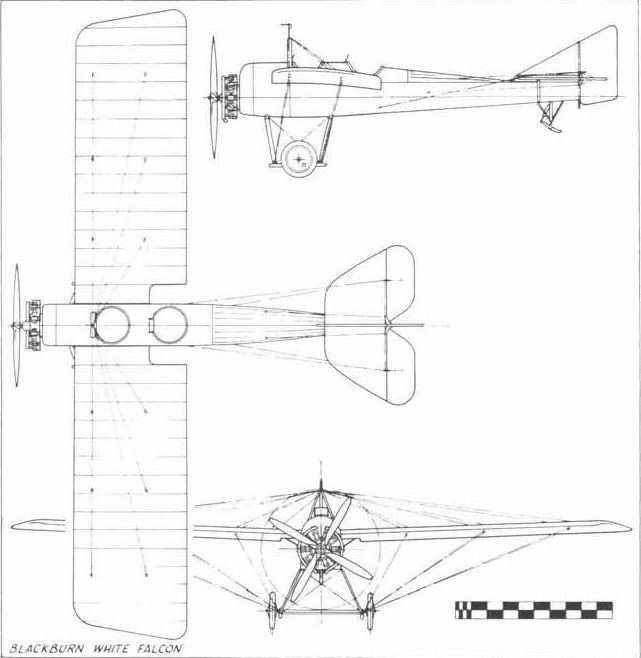 Lt W. Lawrence's all-steel Blackburn Type E (60 hp Green) L'Oiseau Gris, No. 1 of the Indian Aviation Co Ltd, at Brooklands in May 1912. The second or 'military' two-seat Blackburn all-steel Type E monoplane (70 hp Renault) on the playing fields of Cockburn High School, Leeds, at the end of 1912. 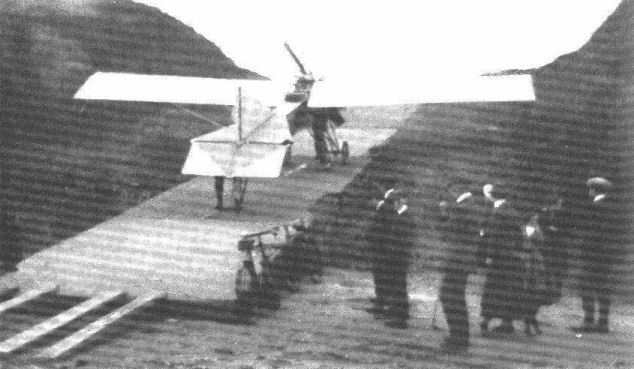 Cyril Foggin (right) and Harold Blackburn with the Single-Seat Monoplane at Lofthouse Park, Leeds, in March 1913. 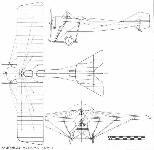 The original square-cut wing tips and hooked undercarriage skids are noteworthy. 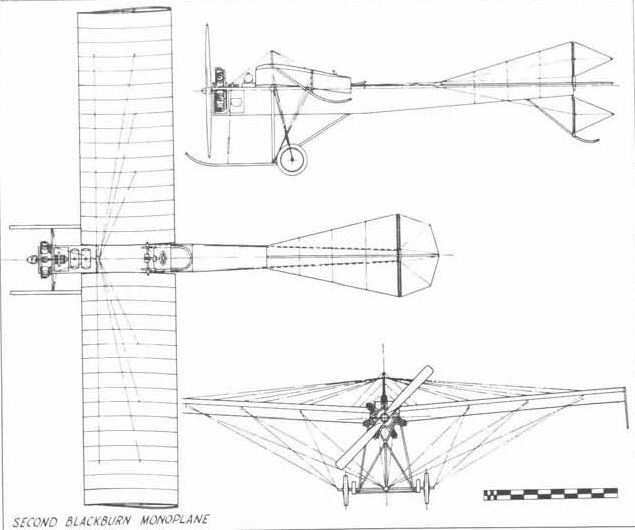 The Blackburn Single-Seat Monoplane, new and unpainted, out for its first engine run at Leeds late in 1912, with Harold Blackburn at the controls. The Single-Seat Monoplane outside the flying school hangar at Brough in 1950. The Single-Seat Monoplane after restoration by the Shuttleworth Trust, flying at the RAF Display, Farnborough, July 1950, piloted by Sq Ldr G. Banner. The 1912 Blackburn Monoplane and a production Buccaneer S. Mk 1, XN924, at Holme-on-Spalding Moor, 16 April 1962. M. F. Glcw (cloth cap) sitting on the engine of the Single-Seat Monoplane after the crash at Wittering in 1914. 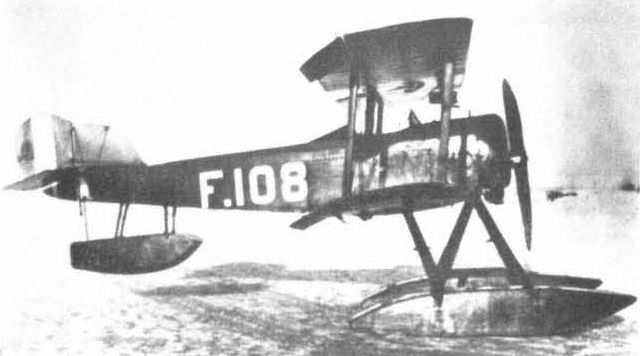 The Type L seaplane in its original configuration outside the hangar on Scarborough beach, August 1914. The Type L afloat off Scarborough in 1915, with short-span ailerons, repositioned radiators and uncowled engine. Blackburn test pilot W. Rowland Ding in the cockpit of the White Falcon monoplane at Roundhay Park, Leeds. Close-up of the White Falcon from the starboard side showing cockpit and simplified undercarriage. 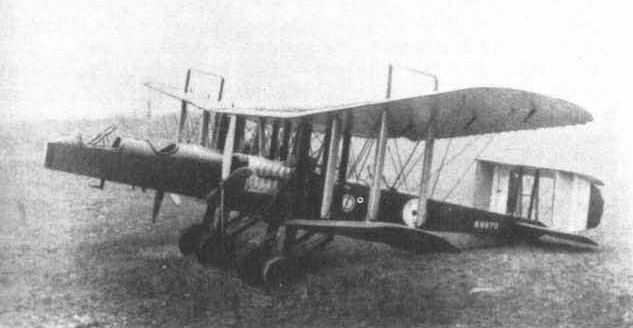 The White Falcon in military marks during the winter of 1916-17. The Olympia Works, Leeds, in mid-1915 with the A.D. Scout airframes at the far end, B.E.2cs on the right and the incomplete Land Sea monoplane (on wheels), facing left. Wheeling out Robert Blackburn's ancient Antoinette monoplane to give scale effect to the Cubaroo during the Press visit to Brough on 21 August 1924. 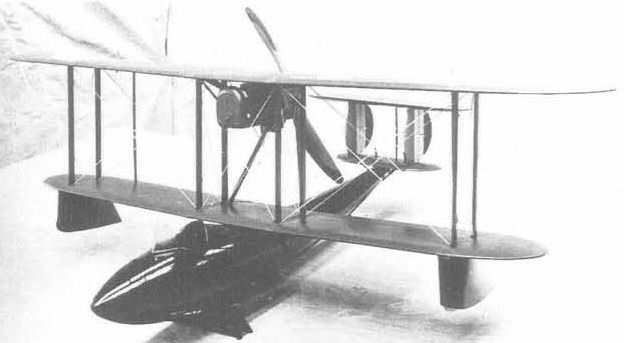 The Type I after the fuselage was covered-in to provide two separate cockpits. Oil stains of distinctive shape on the port side were a useful recognition feature of this machine in all configurations. 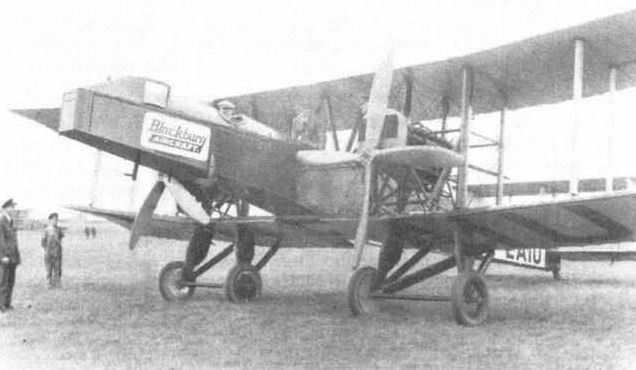 An early private owner - M. G. Christie, DSc (front seat) and his pilot Harold Blackburn in the Type I monoplane before the decking was fitted. 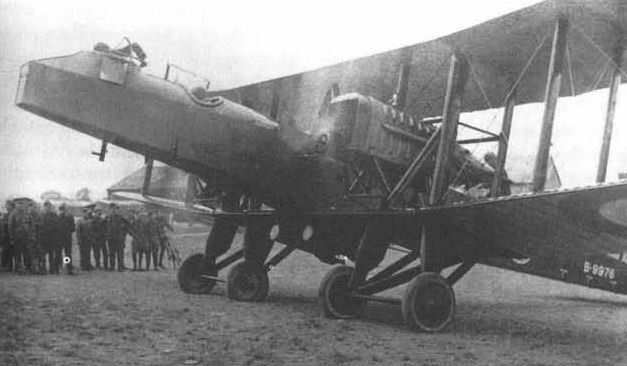 The Type I and the prototype Avro 504 on tour in 1914. The 'single kingpost' Type I, with virtually uncowled engine, being wheeled into the Yorkshire Show, Bradford, 22 July 1914. Harold Blackburn unloading newspapers from the freight compartment of the single-seat 'single kingpost' Type I at Chesterfield on 4 April 1914. 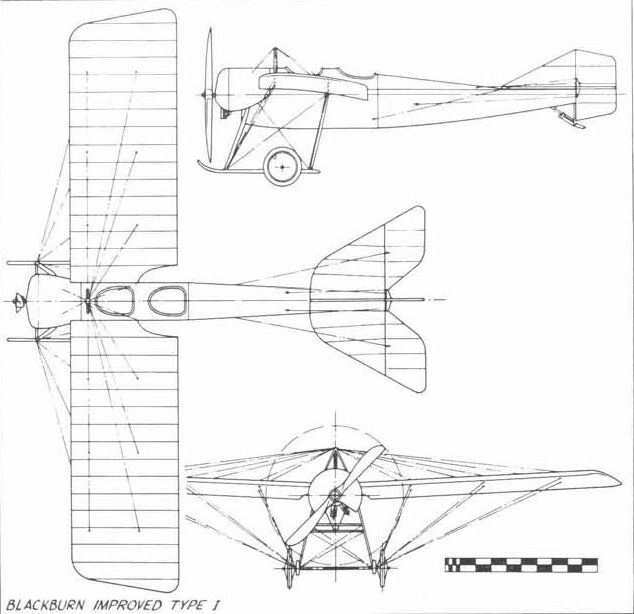 The original Blackburn styling over the company's Improved Type I monoplane at Olympia, London, in March 1914. The Improved Type I outside the seaplane hangar at Scarborough on 26 September 1914, in the care of Blackburn engineers Copley and Swann and a detachment of soldiers after it had been commandeered. 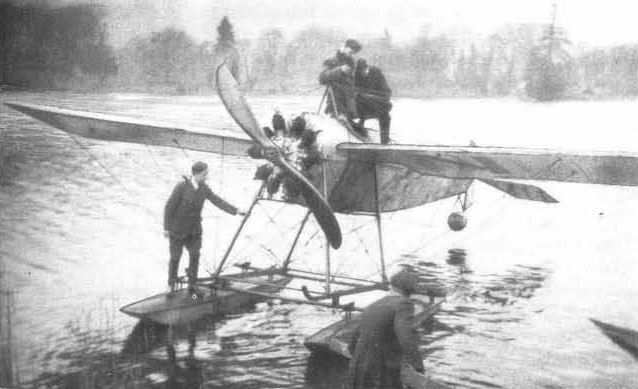 The 'Land Sea monoplane', with exhaust collector ring removed, on Coniston Water on 18 March 1916, with H. P. Reid and J. Lankester Parker (rear cockpit) ready to go ashore. 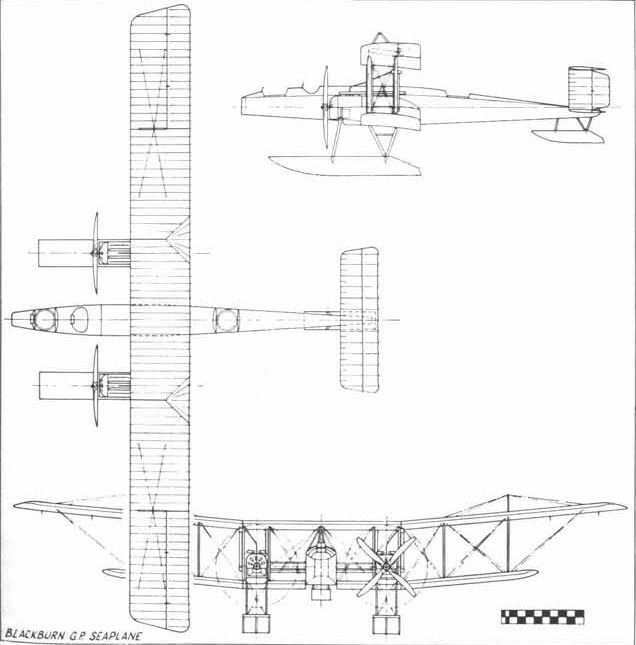 The wind-tunnel model of the Blackburn N.1B single-seat flying boat. 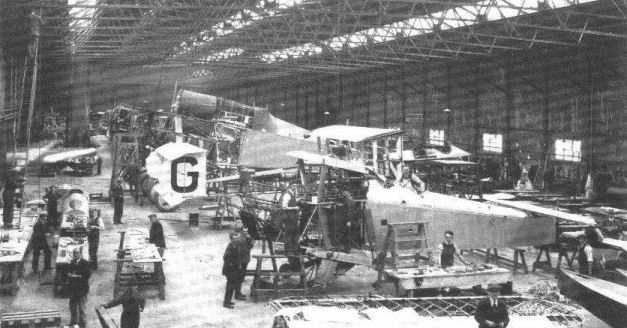 The hull of the Blackburn N.1B under construction in the Olympia Works, Leeds, in 1918.